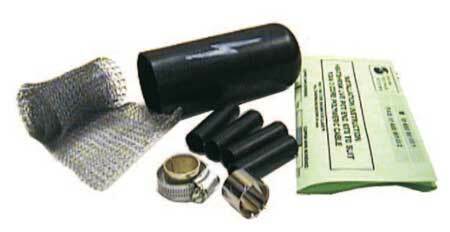 Heat shrink pot end (stop-end) joint kits and live cable end seals are used to abandon live low voltage cable ends. Each core is separately sealed using small heat shrink cable end caps and a screen bandage applied to reinstate earth fault protection. Finally a thick wall outer heat shrink cable cap is installed with a live flash symbol. Heat shrink pot ends are available for EPR, XLPE and PILC paper insulated multicore cables. Service cable pot-ends to DNO specification are available to suit single and three phase CNE cable (4-35sqmm) and single and three phase PILC cable (16-35sqmm).